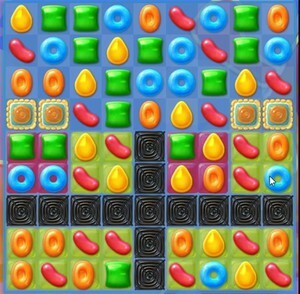 At some point in candy crush jelly level 52, some of the candies or places might be unreachable by the use of the regular candy matching. Even some of the special candies might not help in such cases, and thus, you should have another plan. These are areas or the candies that are awkwardly placed especially those around the corners. The use of the jelly fish at this level helps a lot in dealing with such cases especially at the end of the game. When activated, this element has the capability to swim to any part of the board and spread the jelly. There are some jelly fishes in the candy crush jelly level 52 but you can also form yours by matching four candies of the same color in a 2×2 form. Are you more of a visual learner? Watch this gameplay video for Candy Crush Jelly Level 52 to help you beat the level. Notice the different strategies this player uses to improve your Candy Crush Saga game.